Home ownership is the golden standard for the traditional American dream. Thus, lenders have come up with lots of different programs to help make that dream a reality. There are programs that can help first time home buyers achieve this goal with little to no down payment. Plus, for older people they’ve come up with an option for them to take out a reverse mortgage on the house they already own. A reverse mortgage is where you cash in on the equity of your home. So instead of paying your mortgage every month, the bank pays you. But, you still have to pay for taxes, home upkeep and maintenance. Though it sounds like a great idea to have the bank pay you every month, especially when you’re retired and may have a lower income, a reverse mortgage is usually a bad idea. Here’s why. Since you aren’t paying on your loan, there are higher fees associated with getting this type of loan. You will be charged an origination fee on a reverse mortgage, which you may or may not have to pay for a traditional mortgage. The closing costs on the loan are usually higher. Plus, home owner’s insurance premiums may increase if you need to make the difference between your equity and how much you take out as a reverse mortgage. You may also get charged for a consultation on the loan, even if you chose not to take out the reverse mortgage in the end. With a restricted income during retirement, it is usually hard enough to pay the bills, let alone having to pay for these fees. A low income is why some people consider a reverse mortgage in the first place. But, these fees will quickly eat away at the income you hope to receive from the loan. Just because you aren’t paying on a mortgage every month doesn’t mean that you don’t have any debt. When you take out a reverse mortgage, you are still taking on debt. You still have to apply for this loan, and you still have to pay back the bank one way or another. If you pass away, your heirs will have to pay back the reverse mortgage. The loan will usually be paid back by selling the house, though it may not always bring enough to pay off the loan entirely. Although it wouldn’t be your problem, it can be tough for your family. As stated, a reverse mortgage pays you instead of you paying them every month. But, one thing to consider is how long you will live after taking out the mortgage. 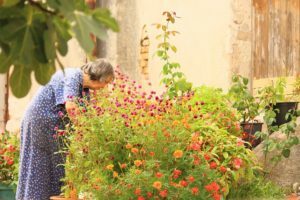 With people living longer than in the past, it’s possible that you might out-live your home equity and reverse mortgage. If that happens, you’d have no money coming in. Plus, you’d end up making payments again to pay back the loan. Owing more than your house is worth is never a good thing, no matter if you were making payments or not. You have to make up the difference on the loan. If you take out a reverse mortgage on your primary residence and then have to be moved into a long-term care facility, you have to pay back the loan. In most cases, if you don’t live in the property for a year, you automatically have to start paying back the mortgage. When this happens, you’ll be responsible for paying for your new care facility or residence, plus an inflated mortgage cost. Since you are charged compounding interest on a reverse mortgage, the costs add up quickly. Even though you don’t have a house payment, you are still responsible for home improvements and maintenance. If you don’t or aren’t able to keep the home up, you can default on this loan. When this happens, you’d owe the entire amount of the loan back to the bank immediately. Plus, it can destroy your credit. This lessens the chances that you’d be able to qualify for a different type of loan, like a personal loan, to help pay back your defaulted mortgage. Though taking out a reverse mortgage may sound like good plan, it really isn’t. If you can’t afford your current home, try to downsize and find one that fits your retirement budget. Taking the equity in your home to get a reverse mortgage should be your last option. Have you ever considered taking out a reverse mortgage? Do you know someone who has? I agree. A reverse mortgage really should be near the bottom of the list of “last things to do” when in retirement. I suppose if there is a serious bind, it may be worth at least considering, but people shouldn’t “bank on it” as part of their retirement plan.